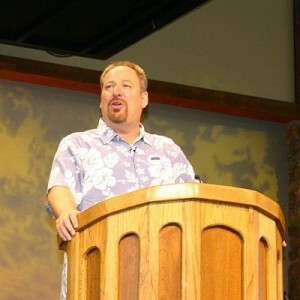 A pro-family group is calling into question recent statements made by Rick Warren, author of The Purpose-Driven Life and pastor of Saddleback Church in California, surrounding his regret over creating a video in 2008 that expressed his support for Biblical marriage. Hill commented that Warren is a well-known pastor, and that he should be aware that any statement he makes will likely be distributed to the public. Hill then asked Warren if he could do it all over again, if he would still have created the video. “So, I’ve had to look at how do I communicate to my people in a way that doesn’t look like I’m pontificating to the entire world,” he added. Following Warren’s explanation, some are expressing concern, including Peter LaBarbera of Americans for Truth About Homosexuality. LaBarbera told Christian News Network that Warren’s comments made him appear as if he was ashamed to publicly stand for the Biblical definition of marriage. LaBarbera stated that he believes many pastors are becoming inward and exclusive about their beliefs, when they should be using their influence outside of the four walls of the church. “The question is, are Christian leaders self-segregating on the moral issues because they’re under the gun of the pro-gay culture?” LaBarbera asked. He stated that the fear of man should never be an excuse to run from the Christian responsibility of publicly standing for truth. 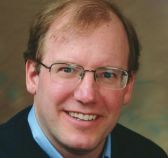 LaBarbera stated that just like Warren is unashamed to proclaim the need to be involved in humanitarian work, he should likewise make use of his platform to uphold God’s definition of marriage. Rick Warren’s office did not return calls for comment by press time.